I demonstrated drawing techniques using a work in progress at the Fall Foliage Festival and Plant Sale on October 20, 2018. Thanks to all who came by and bought a print, or a card, or just stopped for a chat. It was lovely to be back at Plum on Bainbridge Island for the First Friday Artwalk and the month of September. I had a couple of drawings at the Washington State Convention Center for the exhibit "Natural Musings". This exhibit comprised the work of many artists, all members of the Guild of Natural Science Illustrators Northwest. 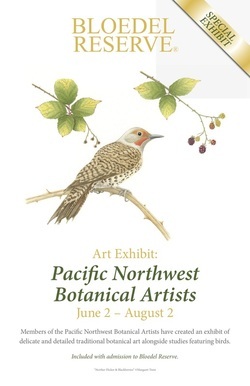 Two of the pieces I created for the Rhododendron Species Botanical Garden were on display at this exhibit of art by PNBA members. The venue was the visitor center at Bloedel Reserve, on Bainbridge Island. The Pacific Northwest Botanical Artists' 11th annual exhibit at the Elisabeth C. Miller Library in Seattle. Originals, along with prints and cards, were on display at Plum during the month of September. Originals included Himalayan Blue Poppies, a commission completed for the Rhododendron Species Botanical Garden. 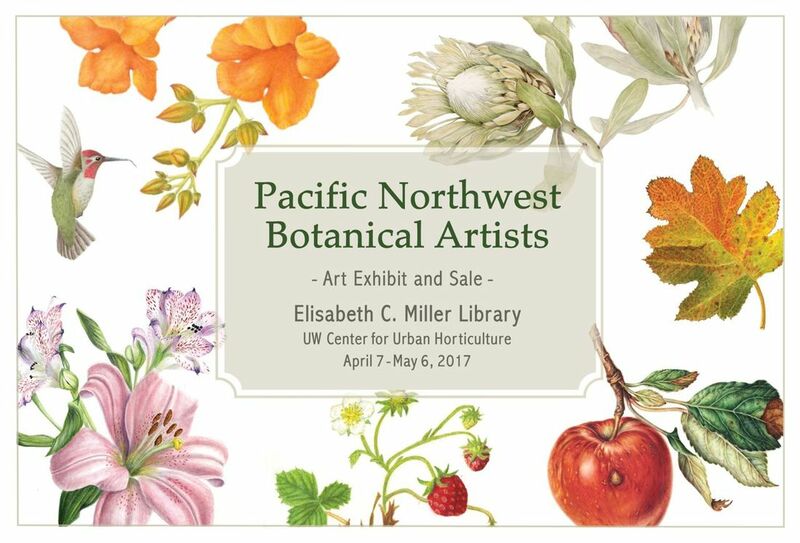 Art was on display at the Elisabeth C. Miller Library in Seattle as part of a larger exhibit organized the Pacific Northwest Botanical Artists. 2017: Colored Pencil Society of America, District Chapter 207, Member Exhibit at University Unitarian Church, 6556 35th Ave NE, Seattle. 2016: Guild of Natural Science Illustrators Northwest exhibit at the Clymer Museum & Gallery, Ellensburg. ​2015-16: Guild of Natural Science Illustrators Northwest exhibit at the Pacific Science Center, Seattle. ​2015: August Artwalk at Plum on Bainbridge Island. 2015: Tsuga Gallery, 10101 Main Street, Bothell, WA.